TOVP Presentation with Special Guests - May 31, 2015 ~ The Toronto Hare Krishna Temple! Toronto's Hare Krishna Temple is excited to share a “once in a lifetime” transcendental opportunity for you and your family! 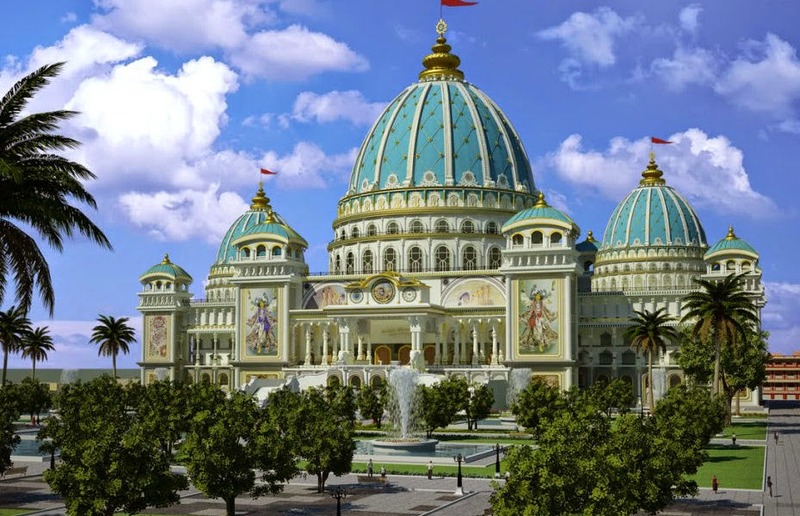 Our beloved founder, His Divine Grace A.C. Bhaktivedanta Swami Prabhupada desired to establish a massive temple and planetarium that depicts the universe as described in the Vedic scriptures in Mayapur, West Bengal, India. 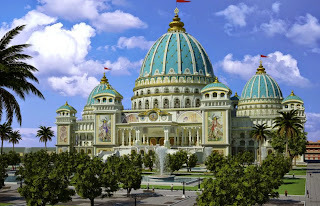 Particularly, he directed that the planetarium be based on the descriptions given in the Srimad Bhagavatam and other Puranas, as well as the Brahma Samhita. 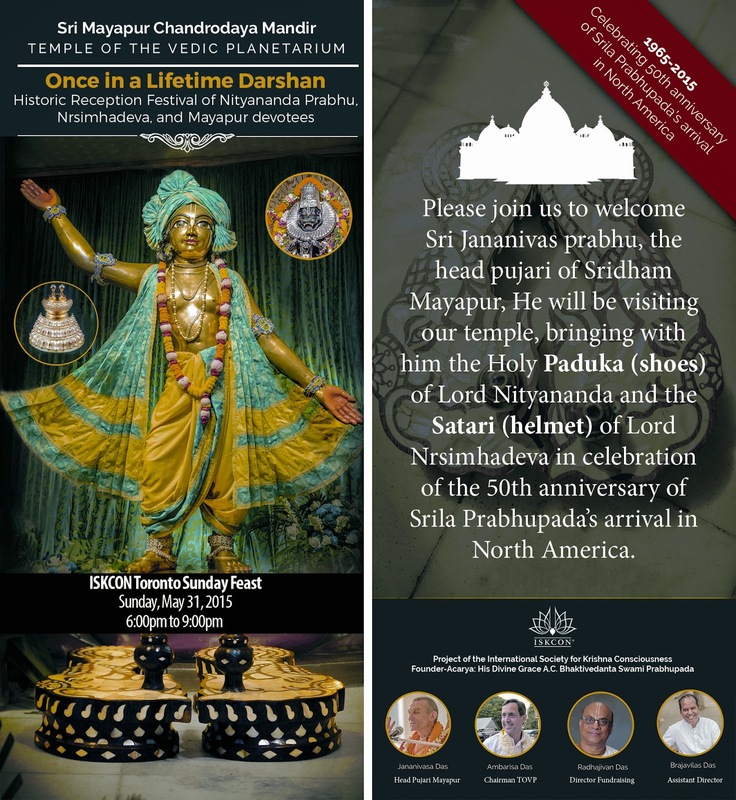 HG Ambarisa Prabhu is the main Chairman of the entire TOVP project and will be visiting Toronto as one of the few temples that he will personally be visiting in North America. Along with him will be HG Jananivas Prabhu, who has not stepped out of India for 45 years, but has now done so. He has brought with him Lord Nityananda’s shoes and Lord Narasimha’s helmet from Mayapur. Together, they are leading a team of devotees on a tour and ISKCON Toronto will be one of their main stops and we will be welcoming them on Sunday, May 31, 2015 for our weekly Sunday Feast. We humbly invite you and your families and friends to join us and take full advantage to participate and give full support in this “once in a lifetime” opportunity. Your generous donations will qualify for a valid Canadian income tax receipt.